Set the gear on high because we're going on a fast ride with this kids' car tale! Who is faster - a scoop truck or an excavator? 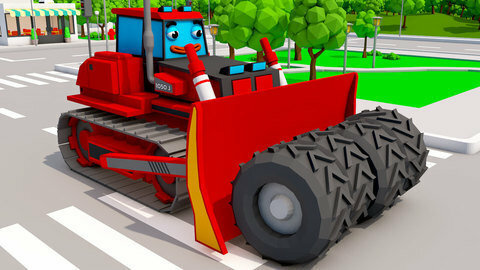 Follow a red scoop vehicle and yellow excavator as they race on the road. But isn't that dangerous? What will they do when there is an accident and a small car is hurt and a building caves in? Help them out and then watch more videos with great moral stories at SeeZisKids!